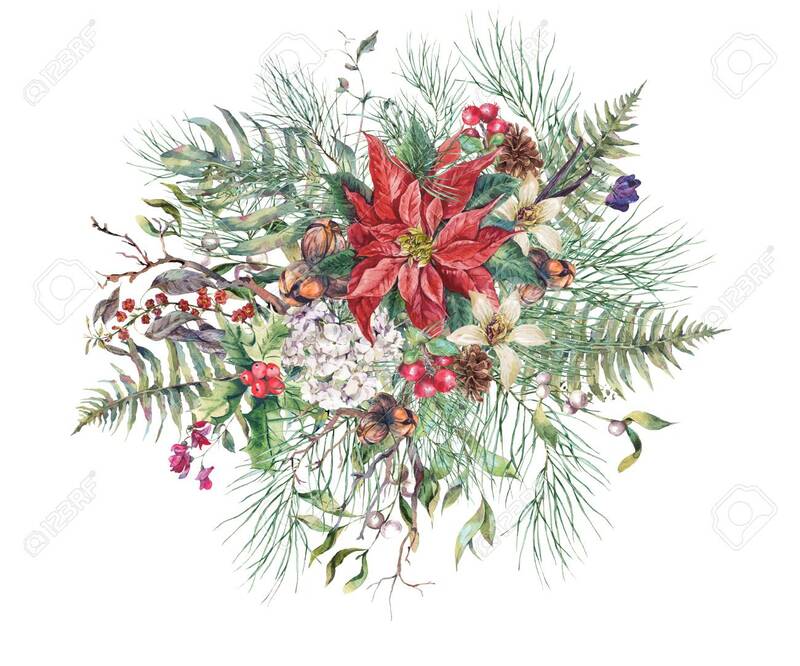 Christmas Vintage Floral Greeting Card, New Year Decoration With Poinsettia, Fern Leaves, Pine Branches, Nuts, Fir Cones. Botanical Natural Watercolor Illustration Isolated On White Background Royalty Free Fotografie A Reklamní Fotografie. Image 65521553.